List of Harry Potter Books: A Peek into the Harry Potter Universe! | GetLitt! List of Harry Potter Books: A Peek into the Harry Potter Universe! Dream of becoming a Harry Potter universe pro? Read this article! Here you will find the list of Harry Potter Books and a peek into the Harry Potter Universe! 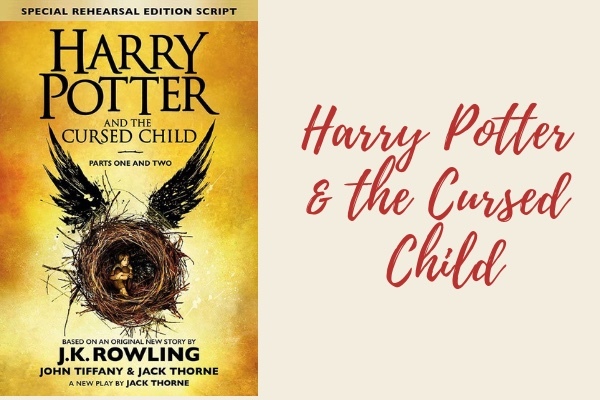 Written from the quill, er, pen of the now-famous author J K Rowling, the Harry Potter book series is a complex web of characters and situations centered around the ‘Boy Who Lived’, Harry Potter. Through the book series, Harry discovers his powers and potential as a wizard. The most dreaded wizard in the world, He-Who-Must-Not-Be-Named aka Voldemort tried to kill him but for some strange reason could not succeed. 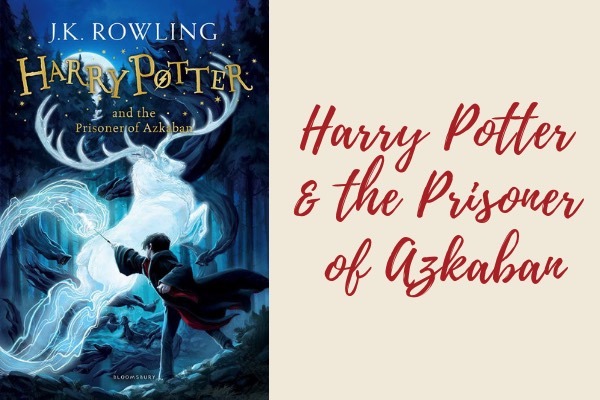 We witness Harry’s entry into the wizarding world, his relationship with headmaster Dumbledore, discovering the truth about his parents, meeting his godfather, fighting Dementors, finally defeating Voldemort and making friends for life! Let’s take a sneak peek into the Harry Potter universe book by book. In the wizarding world, Harry Potter is seen as the Boy Who Lived. But he is no more than a nuisance at Privet Drive, where he lives with his aunt and her family. All that changes when the 11-year-old receives news that he has been admitted to Hogwarts School of Witchcraft and Wizardry. He accompanies Hagrid, the Hogwarts gamekeeper, to buy all his school supplies and his wand. He receives his owl, Hedwig, as a birthday present from Hagrid! He boards his first train to Hogwarts from platform nine and three quarters, where he is assisted by the Weasleys. In the coming years, the Weasleys become his family. On the train and through the entire book series, Harry Potter is subjected to whispering wherever he goes. After all, he is the only person to have survived the Dark Lord! In the book, we find out that Voldemort is after the sorcerer’s stone. The sorcerer’s stone is used to make the elixir of life. Anyone who drinks it becomes immortal, something that Voldemort is after. 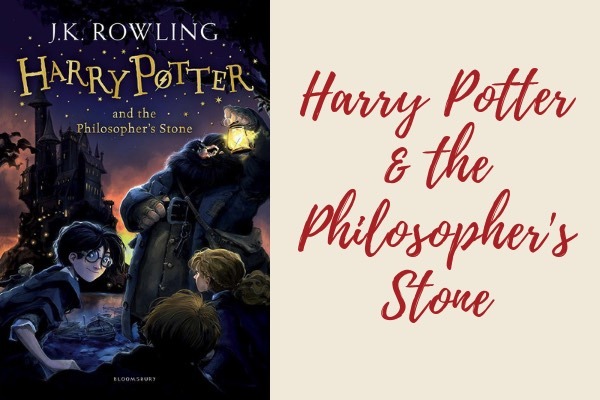 In a thrilling adventure, involving flying keys, a three-headed dog and a game of life-size chess, Harry Potter and his friends Ron and Hermione prevent Voldemort from stealing the sorcerer’s stone. By the end of Harry Potter and the Sorcerer’s Stone, Harry has made friends for life and prevented Voldemort from coming back to life. Harry Potter Universe Factoid: Did you know that the recent film series, Fantastic Beasts and Where to Find Them, is actually based on a book mentioned in the Harry Potter book series. It is part of Harry’s reading list in his first year at Hogwarts. Living at Privet Drive should have become bearable for Harry because he just has to spend the vacations there, right? Wrong. Someone performed magic at Privet Drive and it’s not Harry! But he has been issued a warning because he is underage and not permitted to do magic outside Hogwarts. So Harry is now under lock and key. But not for long! Ron, along with his overage twin brothers, Fred and George, comes to rescue Harry in a flying car! Harry lives with the Weasleys for the rest of the summer at The Burrow. But the trouble is just around the corner when Ron and Harry are unable to enter platform nine and three quarters to board the Hogwarts Express. They decide to break a hundred rules and fly to the school in the car! The cheery beginning of this book in the Harry Potter book series turns dark when Muggle-born wizards start getting ‘petrified’ i.e. turned to stone. The school discovers that Harry can speak Parseltongue, the language of snakes and everyone is suspicious of him. Hermione gets ‘petrified’ and it is now up to Ron and Harry to discover who is behind all this. Who has opened the Chamber of Secrets? 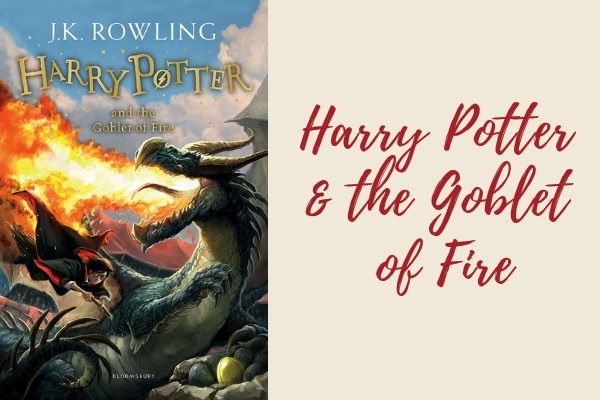 What unfolds is a tale of adventure involving the flying car, a flesh-eating spider called Aragog and a duel with the Basilisk to save Ginny Weasley, Ron’s sister. Guess who Harry meets inside the chamber? None other than Voldemort himself who has come to life through a diary. Harry destroys the diary and he and his friends save the day, yet again. Harry Potter Universe Factoid: The diary that Harry destroys in the Chamber of Secrets is one of the Horcruxes which hold pieces of Voldemort’s soul.. By destroying the diary, Harry has actually destroyed one of the Horcruxes that let Voldemort stay alive. Harry has now spent two years at the Hogwarts School of Witchcraft and Wizardry and is looking forward to the third year. But after a small ‘incident’ where he blows up his cousin, Dudley’s aunt, Aunt Marge, Harry storms off from Privet Drive. He takes an adventurous bus to Diagon Alley. He is surprised to find that he hasn’t been expelled from school for underage magic and in fact everyone is relieved to find that he is safe. He later finds out that Sirius Black, considered to be Voldemort’s most loyal follower, has escaped Azkaban, and is looking for Harry to ‘murder’ him. No wonder everyone was relieved to find Harry alive and not in the clutches of the prisoner of Azkaban. At school, Harry meets Professor Lupin, one of his dad’s old friends and also their teacher for Defence Against the Dark Arts. Through the course of the book, we discover that Professor Lupin is actually a werewolf (! ), Sirius Black is innocent (!!) and Ron’s rat, Scabbers is actually Peter Pettigrew (!!! ), one of his dad’s ‘supposed friends’ who turned to the dark side. Hermione and Harry use a Time-Turner to save Sirius Black. Harry is really looking forward to living with Sirius Black, who he gets to know is his godfather! But that will have to wait until Sirius is proven innocent. Peter Pettigrew, who can prove that Sirius is innocent, escapes and the opportunity is lost. At the end of the term, in Harry Potter and the Prisoner of Azkaban, Harry gets a gift – the best-in-class broom – a Firebolt! While everyone else is wondering whom it is from, Harry, Ron and Hermione know that it is from Sirius. Harry Potter Universe Factoid: The Whomping Willow has a secret entrance at the bottom which leads to the Shrieking Shack. This is the place where Professor Lupin spends his days when he turns into a werewolf. It is the same tree that Harry and Ron flew into when they landed at school in the flying car in Harry Potter and the Chamber of Secrets. Harry Potter and the Goblet of Fire is packed with a lot of action. Harry’s scar hurts often and he vivid and painful nightmares. In one of his dreams, he sees a human being murdered by Nagini, Voldemort’s snake. Meanwhile, back at Hogwarts, there is a new Defence Against the Dark Arts teacher Mad-Eye Moody. And an exciting event is about to take place! The Triwizard Tournament! Students from two other wizarding schools arrive at Hogwarts to participate in the championship. The participants include Viktor Krum from Durmstrang and Fleur Delacour from Beauxbatons. Harry is underage but someone hoodwinks the goblet of fire into accepting his name. As a result, there are two champions from Hogwarts in the tournament – Harry and Cedric Diggory. All the champions have to undertake dangerous tasks and complete them to qualify for the final. At every step, Harry offers whatever help he can and gets valuable assistance from others too including the new Defence Against the Dark Arts teacher, Mad-Eye Moody. During the final task, Harry and Cedric reach the cup almost together and decide to lift the cup together. Only, instead of the task coming to an end, they are transported to a graveyard. Cedric is killed and Harry witnesses Voldemort come to life. When Voldemort tries to kill Harry, both their wands act strange and all those people who were killed by Voldemort last, form a protective shield around Harry and allow him to escape back to Hogwarts. At school, through a series of dramatic events, it is revealed that Mad-Eye Moody is, in fact, Barty Crouch Junior, a Voldemort loyalist, long considered dead. Through the year, Barty Crouch masquerades as Moody using Polyjuice Potion and does everything possible to deliver Harry to Voldemort at the end of the tournament. From putting Harry’s name in the goblet of fire to turning the Triwizard cup into a Portkey, Crouch had done it all. And now, Voldemort is alive. Harry Potter Universe Factoid: Ron’s jealousy is evident in the first half of the book when he suspects Harry of secretly putting his own name in the cup and not involving Ron. He comes around by the end of the first task and helps Harry out in all the subsequent ones. 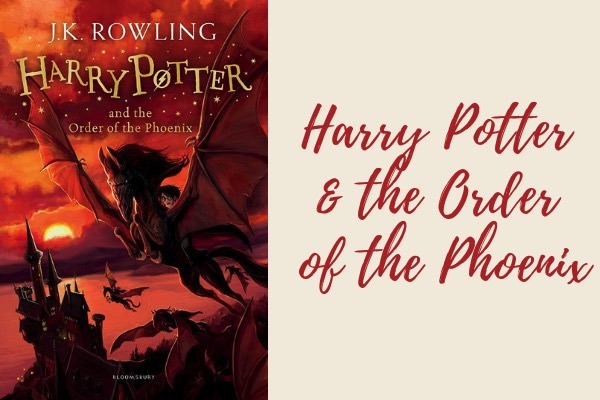 Among the darker books in the Harry Potter book series, Harry Potter and the Order of the Phoenix is the first after Voldemort comes to life. Harry and his cousin Dudley are attacked by Dementors in Privet Drive and Harry uses the Patronus Charm to ward them off. He is then summoned to a hearing at the Ministry for performing magic in the presence of Muggles. Harry is escorted to the temporary headquarters of the Order of the Phoenix where he spends the rest of the summer. Through the book, we see Harry being ignored by Dumbledore for some inexplicable reason which is revealed at the end. Meanwhile, the school has turned strange after the arrival of Dolores Umbridge, sent by the Ministry to keep an eye on Hogwarts and prevent news of Voldemort’s return from spreading – because the Ministry does not believe it to be true! Dolores Umbridge makes life difficult at school and brings down the level of instruction drastically, sticking to theory rather than practical experience. Harry, Ron and Hermione get together to create Dumbledore’s Army, a secret society that trains students in spells that they may have to use against Death Eaters – Voldemort’s followers. There is a mass breakout of prisoners from Azkaban and Voldemort’s side seems to be gaining strength. Harry gets lessons from Snape , the much-hated Potions master, on blocking his mind because Dumbledore suspects that Voldemort may be trying to control Harry’s mind through the weird connection they share. 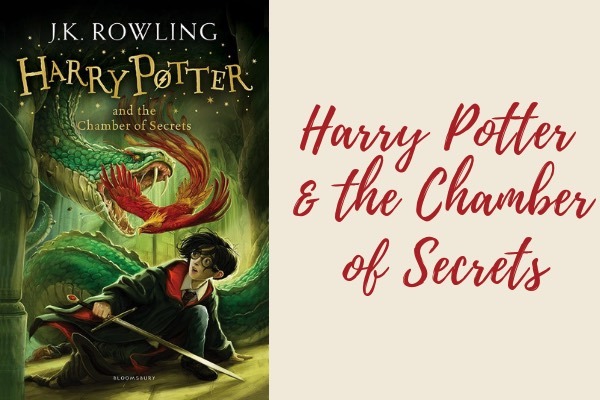 The book ends with a standoff between the Order of the Phoenix and Voldemort and his supporters at the Ministry of Magic. Sirius Black, Harry’s Godfather is killed in this showdown. While this breaks Harry’s heart, it strengthens his resolve to find and kill Voldemort. Harry Potter Universe Factoid: Dolores Umbridge has a deep dislike for Harry and as punishment asks Harry to write ‘I will not tell lies’. The quill that she gives Harry for the punishment uses the blood of the punished to write the lines on paper. She uses this mode of punishment on many students. 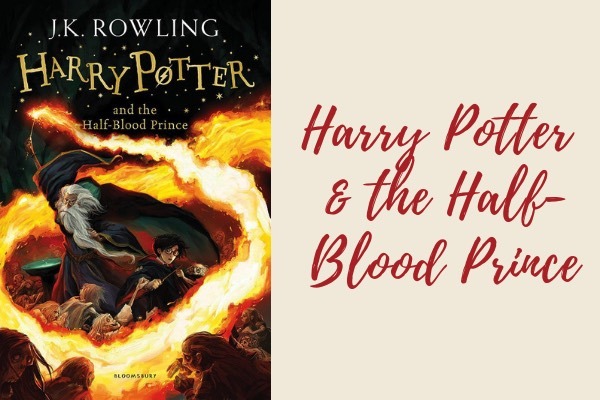 The sixth book in the Harry Potter Book Series, Harry Potter and the Half-Blood Prince gives us insights into Severus Snape. This is also the book in which Dumbledore dies. He leaves the responsibility of finding and destroying the remaining Horcruxes, to Harry, Ron and Hermione. Harry comes across an old Potions textbook with a number of spells and notes pencilled in. He aces his Potions class with the help of these tips from the textbook, which is the property of the Half-Blood Prince. The school gets a new Potions teacher, Professor Slughorn and Snape finally gets the job he coveted, Defence Against the Dark Arts. Everyone believes that Snape is not to be trusted, but Dumbledore firmly believes that Snape is on the side of the good. However, in the climax, it is Snape who is revealed to be the Half-Blood Prince and is the one who kills Dumbledore! Harry witnesses this and is devastated. Hogwarts and the wizarding world will never be the same again. Harry Potter Universe Factoid: Voldemort, as Tom Riddle, a student at Hogwarts, first discusses the idea of Horcruxes with Professor Slughorn and goes on to create seven such Horcruxes to keep himself alive in some form. Harry Potter, without Voldemort’s knowledge, becomes the eighth horcrux on the night that Voldemort killed Harry’s parents. 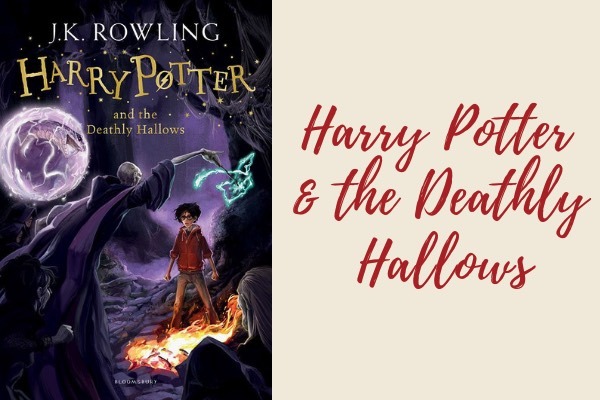 The last and the final one in the Harry Potter Book Series, Harry Potter and the Deathly Hallows, is the darkest of Harry Potter books. Dumbledore is dead, Snape is now the headmaster of Hogwarts and more than ever, everyone is convinced that Snape killed Dumbledore on behalf of Voldemort. But by the end of the book, we know just how wrong we were! Snape had always been in love with Lily, Harry’s mother and, at great personal risk always sought to protect Harry. Meanwhile, left with strange objects bequeathed to them in Dumbledore’s will, Harry, Ron and Hermione seek to destroy the remaining horcruxes. They dig into Dumbledore’s early life and the legend of the Deathly Hallows. They hunt down and destroy each of the horcruxes and, by the final face-off with Voldemort, only one horcrux is left – Harry himself. Intriguingly, when Voldemort casts the Killing curse on Harry, he does not die. With the curse, the horcrux part of Harry gets destroyed thus making it possible for Harry to survive and in the ultimate duel, kill Voldemort once and for all. Harry Potter Universe Factoid: In Harry Potter and the Deathly Hallows, we come face-to-face with just what kind of a personality Snape was. We have loved to hate him in all previous books and oscillated between hatred and dislike to admiration for him. But the ultimate symbol of his love for Harry’s mother, Lily, is that his Patronus, a doe, is the same as hers. Harry Potter and the Cursed Child is a two-part play, written by J.K. Rowling and two others – Jack Thorne and John Tiffany. Set nineteen years beyond Harry Potter and the Deathly Hallows, the play delves into the lives of Harry, Ginny, Ron and Hermione and their children. Interestingly, it involves Harry’s son Albus and Draco’s son Scorpius using time-turners to go back in time and prevent certain past events from taking place so that the course of their future is altered. However, all they end up doing is creating alternative timelines, including one in which Voldemort survives and is now the ruler of the wizarding world. Now, that is definitely something, isn’t it? But who is the ‘Cursed Child’ – we all may have our own interpretations. Books Similar to Harry Potter: Of Desi Monsters, Aunties, Nanis and Magic! If you are a Harry Potter book series fan and are craving some desi books involving magic and monsters, then Getlitt! has just the list of books that fit the bill. 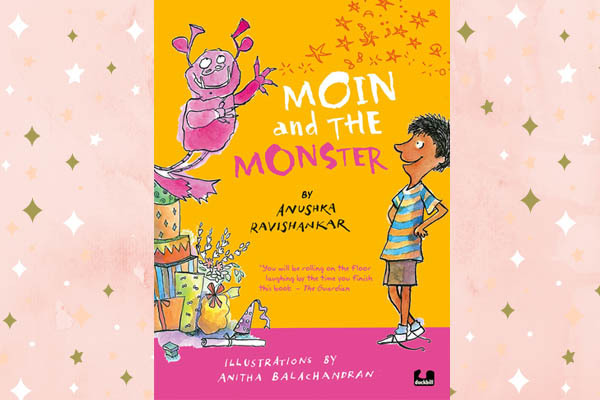 Moin and the Monster by Anushka Ravishankar and published by Duckbill Books is a fun book about the monster that can come to life only if a person draws it out. Moin manages to draw a very funny-looking monster that is funny rather than scary and reminds us a lot of Dobby, the house elf in the Harry Potter book series. Read Moin The Monster HERE! 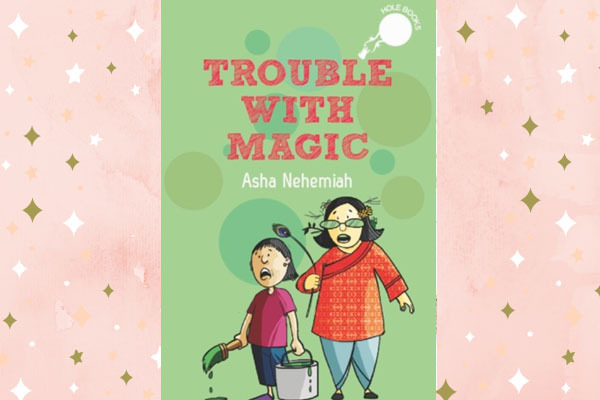 Trouble With Magic by Asha Nehemiah and published by Duckbill Books is about Veena and her Aunt Maalu who try their hand at creating magical paints. But the spell turns horribly wrong and there are complaints pouring in from everywhere. Veena and her Aunt Maalu remind us the teeniest bit of Professor Gilderoy Lockhart from Harry Potter and the Chamber of Secrets whose spells are a disaster most of the times, except for his memory charm. 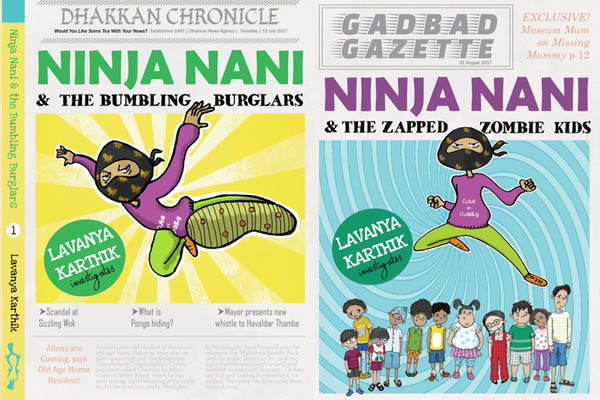 Ninja Nani by Lavanya Karthik and published by Duckbill Books is another fun book about ninja techniques and grandmoms. For some strange reason, she reminds us of Professor Trelawney and Hagrid from the Harry Potter book series. Tell us what you think. Read the book today on GetLitt! Have a favourite from the Harry Potter book series? Love or hate a character more than the others? Have desi books that are similar to Harry Potter that you love? Which of the books on GetLitt! do you like the most? Tell us! We are all extendable ears (yes, the ones that Harry and his friends used to eavesdrop on conversations of the Order)!